If you’ve been following me on Instagram, then you know that I recently started a round of Whole30 – and by recently I mean 13 days ago but who’s counting? If you’re wondering just exactly what Whole30 is – in a nutshell: it’s a 30-day nutrition reset in which you eliminate dairy, alcohol, grains, added sugars, and legumes from your diet. I’ll admit that I was a bit nervous to commit to something quite like this – I like to take a “try it all, but all in moderation” approach to my diet. However, I’ve also made a few minor changes in my diet recently [resulting in a 20ish lb. weight loss!] and I could feel myself starting to slip back into my over-indulgent ways. Whole30 seemed like a great opportunity for a wakeup call, a way to clean up my diet for the Summer, and also just a fun challenge to try! As I’m closing up my second week of Whole30, I thought I’d give you all an overview of my experience so far – both the good and the bad. Knowing what goes into your body: A huge part of Whole30 is reading nutrition labels, knowing what’s in your food, and being cognisant about what you’re actually eating. I try to think that I’m a fairly healthy eater, but there are so many little things in food – like added sugar in canned tuna – that may not be the best for you, but you would never know unless you made an effort to read the nutritional facts and ingredients. Since starting Whole30, I’ve become so much more aware of what’s in everything that I’m eating which is something that I’m sure I’ll carry with me even once my 30 days are complete. Salad: Green leaf lettuce, roma tomatoes, cucumber, avocado, + flax seed. Buddha Bowl: Sautéed kale, red peppers, sweet potatoes, grilled salmon, + avocado. Need for planning: I’ll be the first to admit that I’m terrible at planning ahead when it comes to cooking. Although I love to cook, life tends to get in the way & throw things off track. I learned within the first few days of doing Whole30 that if I didn’t plan ahead & prep my meals for the day, then I’d be kinda out of luck in the food department. Fast food or picking up takeout just wasn’t an option anymore – which isn’t bad at all, just took a bit of an adjustment! 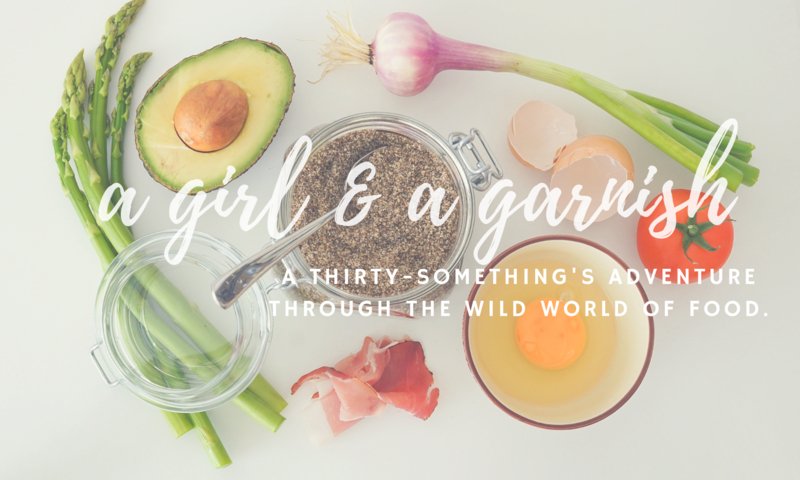 Just a little over two more weeks to go for me – stay tuned to see more of my Whole30 adventure! Anyone here had any experiences with Whole30? p.s. – have you joined the exclusive G&G club?! Ok, it isn’t really that exclusive, but you should still join my email list to be sure that you don’t miss any posts! I share a weekly newsletter with tons of fun content – so what are you waiting for?